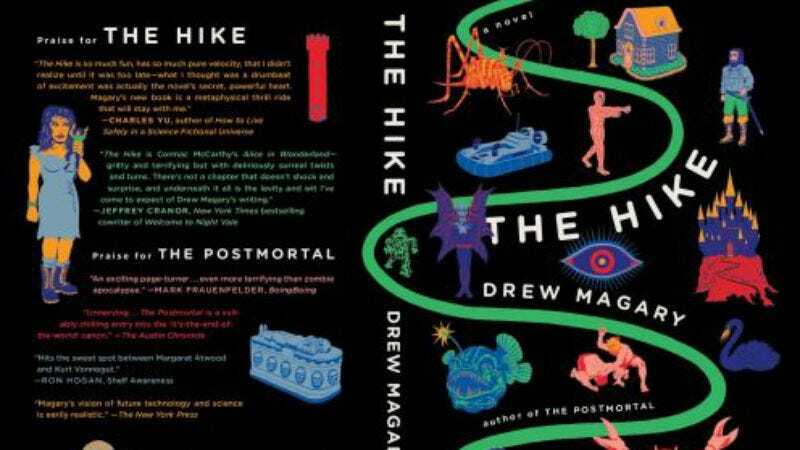 The Hike, the latest novel from Deadspin’s Drew Magary, is one of the best, and weirdest, books I’ve read in years, and you can download the Audible version for $3 today. Just be sure to use headphones, or you’ll get a lot of sideways glances. Yes my formal statement is that people should buy it now or regret it for the rest of their lives. Anker’s SoundBuds are our readers’ favorite affordable Bluetooth headphones, and the newest version just launched with a 20 percent discount. For a limited time, promo code RXIWZ75F will save you $6, but if recent Anker product launches are any indication, I wouldn’t be surprised if these sold out quickly. Whether you’re upgrading to 802.11ac, trying to extend your wireless network, or just want to stop forking over a modem rental fee to your ISP, today’s Amazon Gold Box is overflowing with networking gear. The most exciting deal in here is probably this Netgear Nighthawk router, which is marked down to an all-time low $87 before a $20 clippable coupon on the page. I’m not sure if the coupon’s presence is a mistake, but I wouldn’t wait long to find out. You’ll also find several other popular routers, ethernet switches, range extenders, NAS enclosures (and hard drives to fill them), and more, all marked down to great low prices. iClever’s brand new BoostCube has just about everything you could want in a travel USB charger: Folding prongs, two ports at 2.4A each, 110-240V support for traveling overseas, and a $7 price tag. If you usually work on a laptop, or just prefer a tenkeyless keyboard for ergonomics, this wireless number pad from Kmashi can save the day when it’s time to pound on some spreadsheets. Thousands of our readers have purchased Vansky’s motion-activated under-bed light, but OxyLED just launched its own version, and you can get it for $10 for a limited time. These are great for shuffling to the bathroom at night without stubbing your toe, and you can even plug more light strips into the same motion sensor, giving you a ton a flexibility. Just be sure to use code OXYLS101 at checkout to get the deal. OxyLED’s MD10 is the Swiss Army knife of flashlights, even more so than actual Swiss Army knives with flashlights. In addition to its 200 lumen Cree LED bulb the MD10 includes both solar and USB recharging, IP65 water resistance, a magnet to stick it to your car, a seatbelt cutter, a window hammer, and even a freakin’ compass. That’s a lot of gear for $15.